The only thing i want from Back to the future. 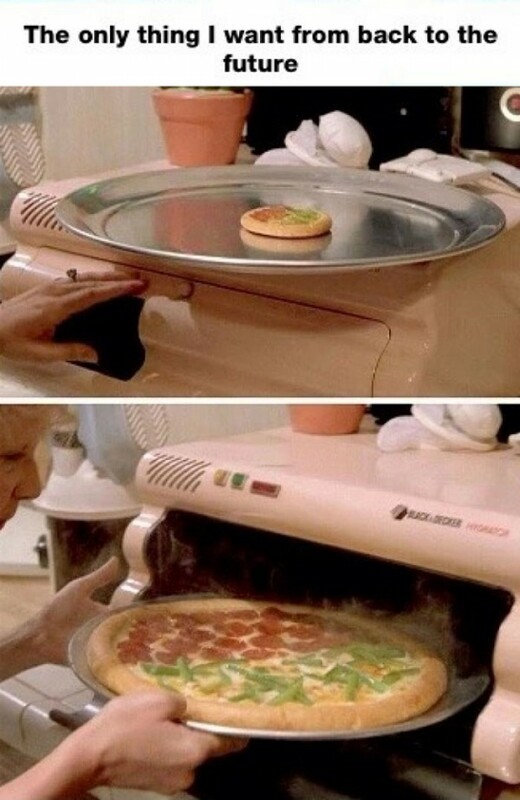 Dehydrated Pizza :) The 'Back to the Future' world promises that, in 2015, Black and Decker and Pizza Hut will team up to make this a reality. And you can even choose half-and-half -- so your vegetarian friends won't complain about your meat lover's pizza!